Due to the nature of photography and filming, it is often necessary to record the two in a different location and for the support of the other. Now when it comes to merging the two, there is a challenge, lack of synchronization which could end up making an entire video loose harmony due to lack of consistency. However, with the use of the right tool, this need not be a concern. Cute Video Audio Merger is a free software that ensures that the merging of videos and music is effective and accurate. The software can be used to merge audio with a silent video or replace an existing audio file with a new one while still maintaining the quality of the video. 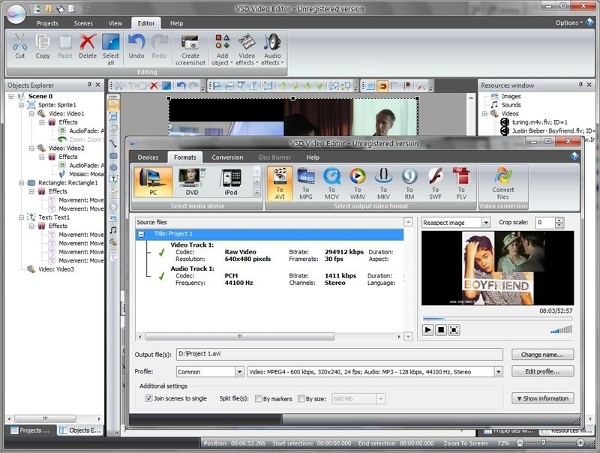 Cute Video Audio Merger is a free software that ensures that the merging of videos and music is effective and accurate. 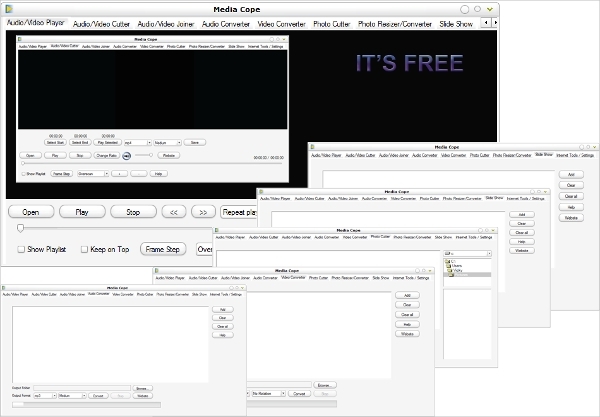 The software can be used to merge audio with a silent video or replace an existing audio file with a new one while still maintaining the quality of the video.Media Cope is a web-based software for the use of merging audio and video among several other applications. By the fact that it is web-based, the software can be accessed across all platforms and thus make it a great resource for its users. FFmpeg is a software that offers a complete solution for converting, recording and streaming video and audio. The software is completely cross-platform, and it is thus able to make users enjoy it across all the platform. The software unlocks another degree of ease when it comes to using it. The desired software for the use in video and audio merging ought to be cross platform. As a matter of fact, the majority of the software in this category strive to achieve this through the deployment of software that cross platform either through the release of the several versions or by making it web-based. 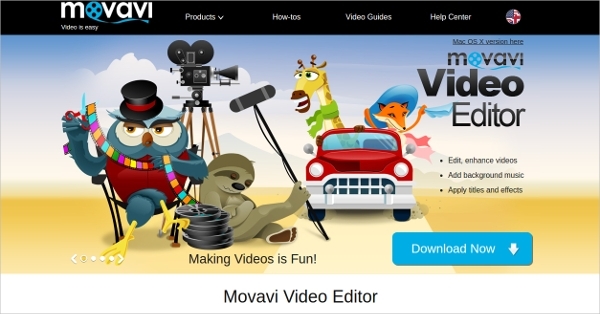 Movavi Video Editor is one of the video utility software that has the ability to merge video and audio and with great levels of coordination. Be it for the need of creating background music or narrations, Movavi offers an exciting and fun way to add music to video. Filmora Video Editor is a complete tool for the use in editing videos and one of the roles it can be able to perform is to merge audio to video. The software is designed to run on the Mac platform and offers some great features especially for beginners. The software also offers the ability to record a voiceover. Mix Audio With Video is a free app that takes redefines what you can be able to achieve with the use of your phone. With this software, you can be in a position to add your video to your favorite music or a mix of tracks as they are stored in your device. VideoSoftdev or simply referred to as VSDC is a video editor that offers a complete solution and at the same time rich in features. It is non-linear, and this implies that objects including audio files. It also offers conversion tools, and it offers subpixel quality in its videos. What is Audio and Video Merger? This is the only way to get work done correctly and accurately. Audio and video merging software serve a great need and with the use of this article, you can be able to make the right decision.